This Instax Mini 25 review will highlight that this camera offers many of the same awesome benefits as the Amazon #1 best selling Instax Mini 8. Additionally, it offers customised settings plus a built-in selfie mirror which is a great way of getting just the right distance for your selfie and ensuring you don’t waste film with out of focus shots. Has a 4.6 star rating from over 500 reviews! Fill-in Flash Mode: The camera detects the brightness of the background to control the shutter speed which means backgrounds can be captured clearly even in dark rooms. SHOULD I BUY THE FUJIFILM INSTAX MINI 25? 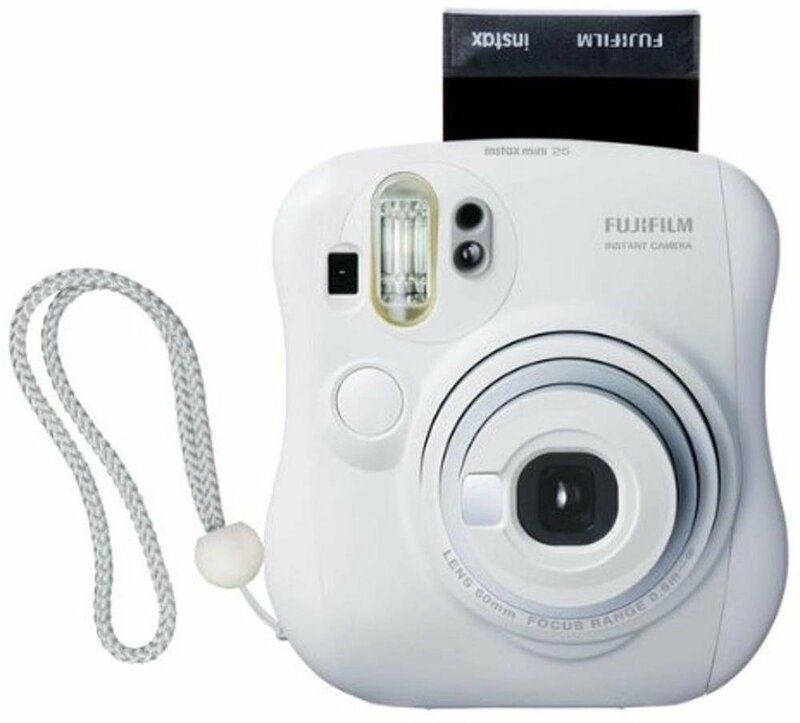 The Fujifilm Instax Mini 25 is a great instant film camera which is packed with useful and easy to use features. 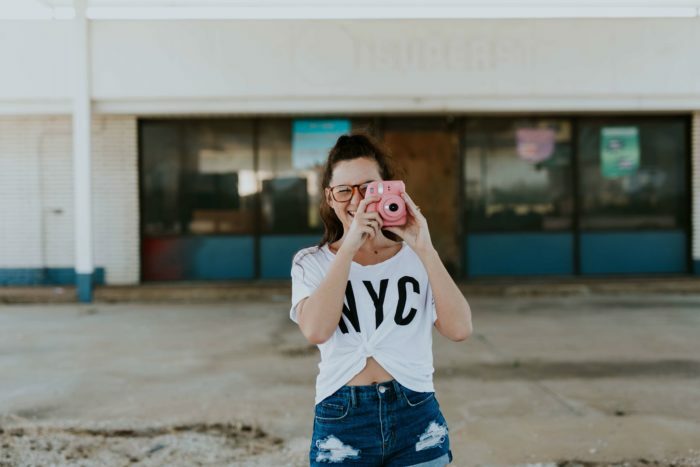 It’s lightweight and compact enough to be easily carried around and would be a perfect camera to capture nostalgic moments at weddings and other special occasions. If you are looking for an instant film camera with excellent features that are above the basic models then this is the camera for you. We really loved the ease of alternating between portrait and landscape snaps, being able to adjust the intensity of colors on prints with the touch of a button and the selfie mirror was ideal for capturing in-focus pics. The Fujifilm Instax Mini 25 will appeal to kids and adults alike, and even the more serious photographers will be suitably impressed with the smart auto focus and close-up features.